Mark Knopfler will release his eighth solo album, Tracker, on March 16 via Universal Music – and he’s streamed lead track Beryl as a preview. The guitar icon is joined on the 11-song work by keyboardist Guy Fletcher, fiddle player John McCusker, whistler and flautist Mike McGoldrick, bassist Glenn Worf and drummer Ian Thomas. Guests include Wailin’ Jennys vocalist Ruth Moody, saxophonist Nigel Hitchcock and accordionist Phil Cunningham. 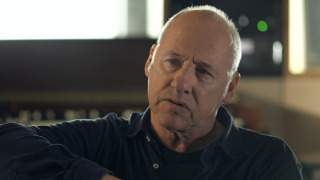 Co-produced by Knopfler and Fletcher, the follow-up to 2012’s Privateering was recorded at British Grove Studios in London. It will be available on CD, double vinyl and deluxe CD with four bonus tracks. The four-disc box set version includes the album on CD and vinyl, bonus CD, short film directed by Henrik Hansen, interview, art print and six photographs.